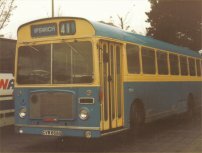 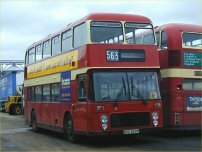 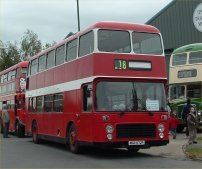 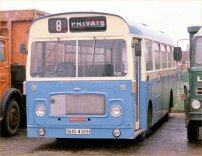 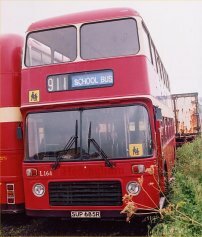 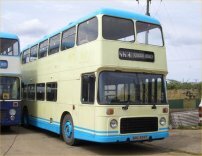 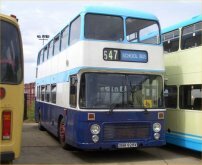 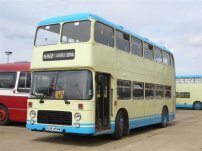 The Blue Bus fleetname has not been used since 1990, when David Boughton, the proprietor, gave up operations in Suffolk and moved the Devon (under the name of Bulley's Bus Services). 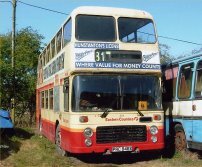 The company name at that time was Rallybeam Limited, which was the successor company (8/88) to Felixstowe Omnibuses Ltd.
After a spell in Devon, Boughton returned to Suffolk in 1998, but no fleet name was used since then, just the company name Rallybeam Ltd. Rallybeam Ltd has subsequently been wound up, and he now operates as A C Aldis & Co Ltd and as Venturer Coachways Ltd. By the way, Felixstowe Omnibus was actually Felixstowe Omnibuses Ltd, and the predecessor to this was Stanlake Passenger Transport Company Ltd (Fleet name Primrose and Blue). 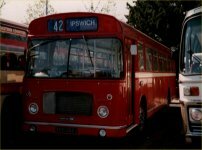 Locations have been variously at Ipswich, Debach (more correctly, Clopton) and now Framlingham.